Premier Mark McGowan welcomed Chevron Australia’s announcement of the start of liquefied natural gas production from the second train at the Chevron-operated Wheatstone Project, located 12 kilometres west of Onslow. The project is expected to deliver more than 300 full-time operational jobs over the next 30 years. 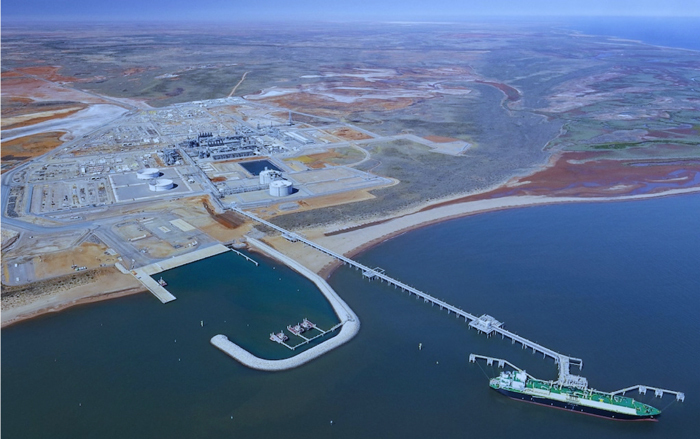 The Chevron-operated Wheatstone LNG facility is a joint venture between Australian subsidiaries of Chevron (64.14 percent), Kuwait Foreign Petroleum Exploration Company (KUFPEC) (13.4 percent), Woodside Petroleum Limited (13 percent), and Kyushu Electric Power Company (1.46 percent), together with PE Wheatstone Pty Ltd, part owned by JERA (8 percent). Over $20 billion was spent on WA goods and services during the construction of the project, creating more than 7,000 local jobs. In nearby Onslow, the Wheatstone Project has been a catalyst for growth, transformed by the project’s $250 million plus contribution to local infrastructure and amenities, together with $455 million of spending with local Onslow businesses and services. In keeping with the Western Australian Government’s domestic gas policy that aims to secure the State’s long-term energy needs by ensuring that LNG export project developers also make gas available to the domestic market, Wheatstone has the capacity to add another 200 terajoules a day into WA’s domestic gas network when the final phase of construction, the domgas plant, comes on stream later this year. Chevron reported 69 LNG shipments from Gorgon and Wheatstone in the March 2018 quarter.